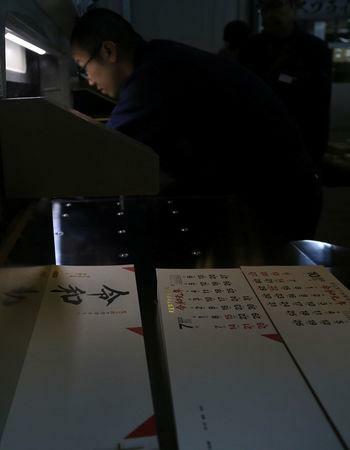 TOKYO (Reuters) - Japanese printers rushed to turn out calendars emblazoned with the new imperial era name on Tuesday as the public tried to make sense of the meaning of "Reiwa" a day after its unveiling gripped the nation. 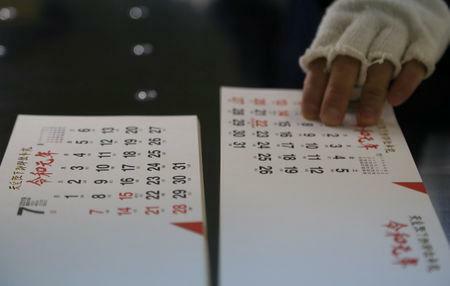 The name, or "gengo", figures in daily life on coins, drivers' licenses and official paperwork, as well as in counting years, though many Japanese also use the Western calendar. But Reiwa's meaning has generated confusion and controversy. The first character, "rei," is often used to mean "command" or "order," imparting an authoritarian nuance that offends some. Prime Minister Shinzo Abe and his government prefer "good" or "beautiful", a less widely known sense. The second character, "wa," is defined as "peace" or "harmony", and together they mean "beautiful harmony," Japan's consulate in New York said in a bid to dispel confusion. "It does not mean 'order and harmony' as has been reported in the press," the consulate said in a statement. "Do they mean 'Give in to orders?' They probably want another militarist era," said one Twitter user. "To those who don't know the 'good' meaning, it can come across as negative," he said. Still, Mizukami said his initial impression of Reiwa was not very positive because of the forceful nuance of "rei". The character was rejected during the 1860s, near the end of the Tokugawa shogun's rule, as its meaning of "command" implied that the emperor, who was weaker at the time, had power over the military rulers, Mizukami said. Abe added to the confusion with a convoluted explanation of Reiwa’s meaning, saying it meant "a culture nurtured by people bringing their hearts together in a beautiful manner". The current era name, Heisei, simply means "achieving peace", by contrast. That Japanese origin may have been more important to Abe and other authorities than the meaning, which appeared to have been "slapped on," said Mizukami. 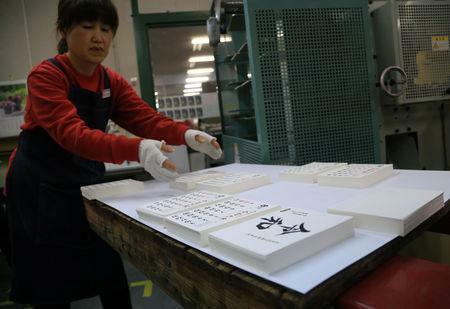 Hours after Monday's unveiling, a factory in Yoshiwara, north of Tokyo, began printing new Reiwa calendars. "I'm relieved that the new name was finally announced," he said as machines whirred in the background.